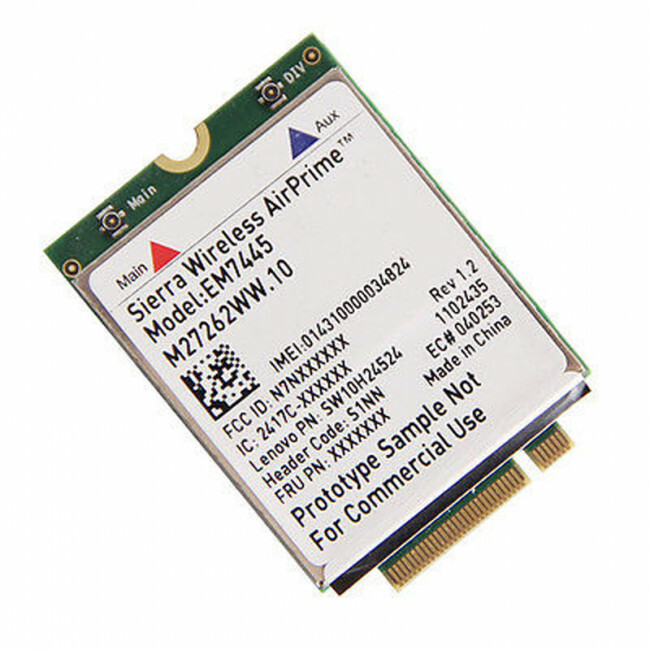 Sierra AirPrime EM7445 is a new 4G LTE Category 6 module offering unprecedented LTE speeds, bandwidth, and network performance on the M.2 form factor commonly used in networking equipment. 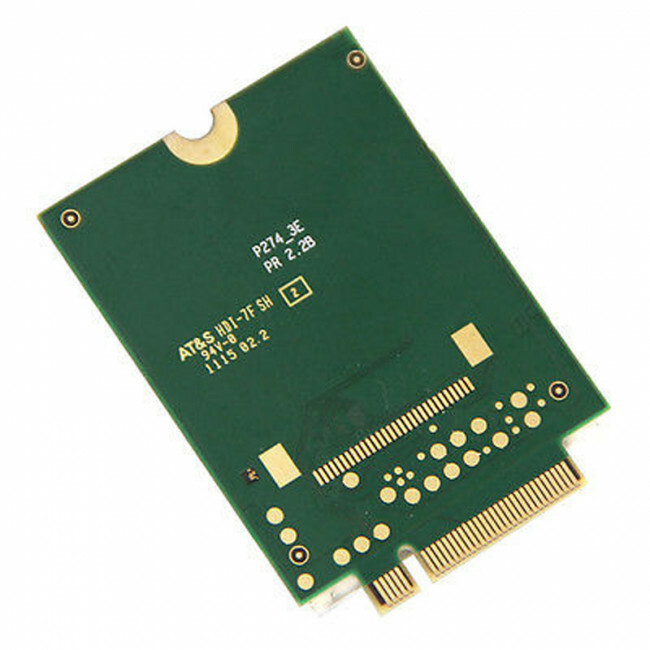 Based on Intel XMM7262 chipset, Sierra EM7445 could support peak download speed to 300mbps and upload speed to 50mbps on LTE advanced networks. The AirPrime EM7445 provides LTE-FDD, LTE-TDD, DC-HSPA+, HSPA+, HSDPA, HSUPA, WCDMA and GNSS connectivity for networking and M2M applications over several radio frequency bands and supports 3G roaming. 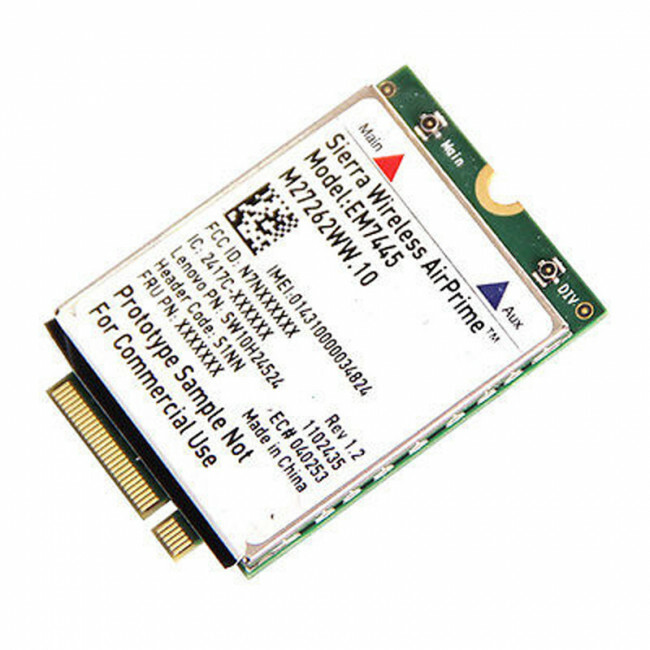 supports most 4G LTE bands in the market providing coverage for the Americas, Europe, and Asia. 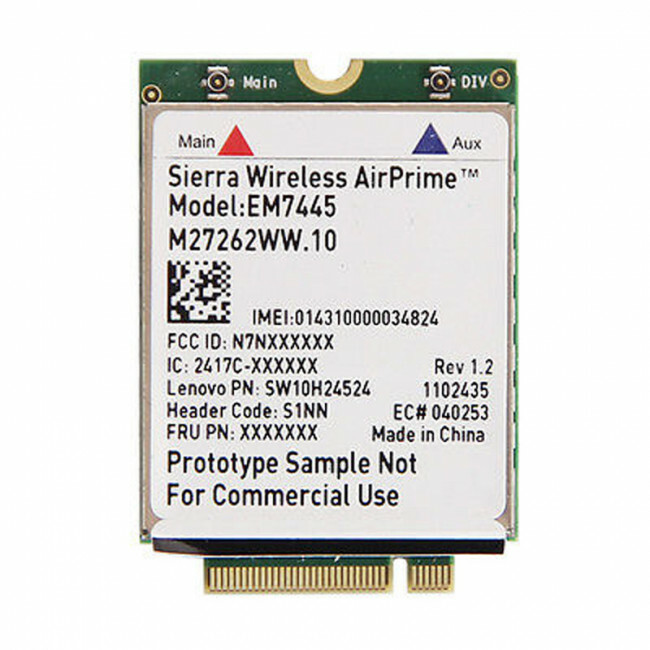 With automatic fallback to 3G networks and integrated GNSS receiver (GPS, GLONASS, Beidou, and Galileo satellite systems supported), the Sierra EM7445 is ideal for networking and telematics applications. 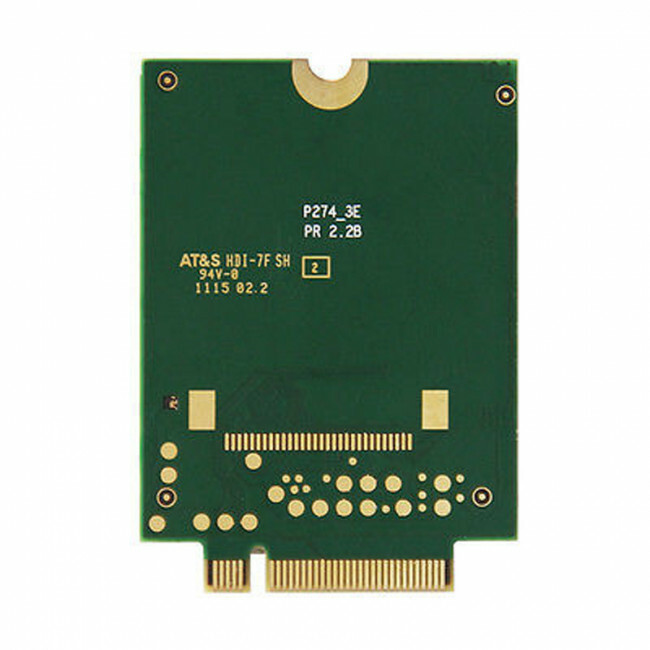 With the PCI Express M.2 form factor, it is easy to integrate into smaller and thinner devices. 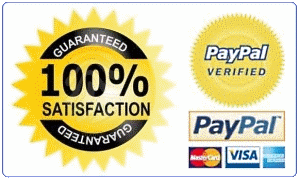 * Only support for Lenovo Thinkpad P50 P70 Series laptops.